The AS24 was introduced in 1960 by FN (Fabrique Nationale d' Armes de Guerre - Herstal (LiÃ¨ge) Belgium) for the military. 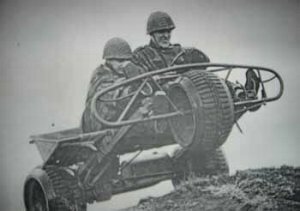 It was a low riding three wheeler capable of carrying several men and equipment after being dropped by parachute. 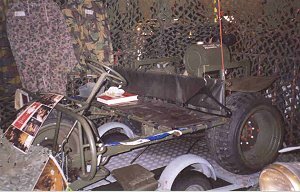 Powered by a “Type 24 FN” engine the steering wheel was easily removable and attached to the rear of the vehicle. This means a person could walk behind and steer at the same time. The FN AS24 in action.